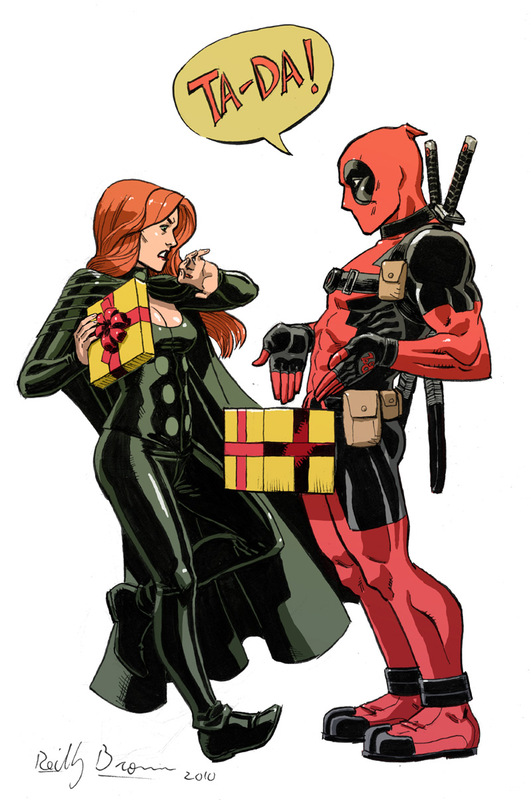 Hot Announcer lady: Want to roll like Deadpool this Valentines day? Well here are some helpful tips from the man himself! Deadpool: I have had my share of heart ache. Being stabbed in the chest is never fun. Its down a peg or two from falling off a cliff or being blasted by a heat ray. 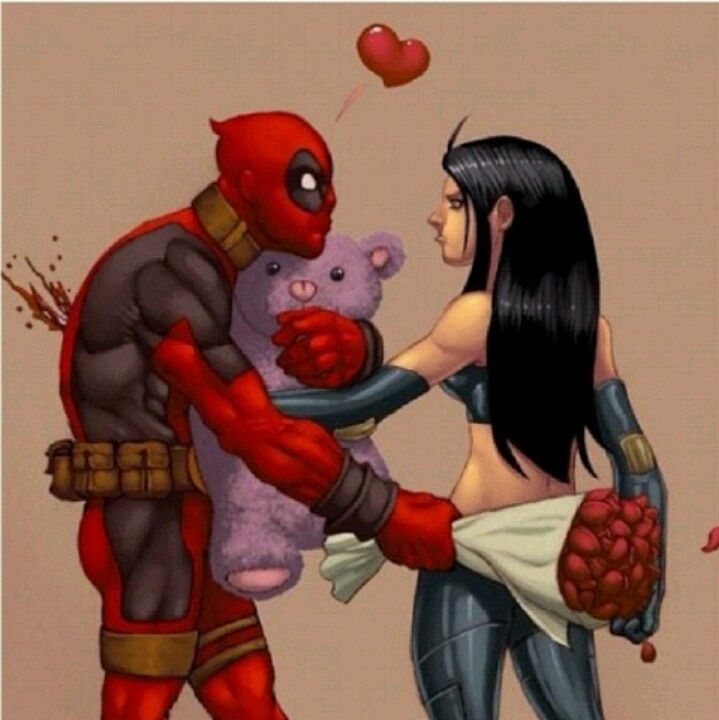 Take it from your ol' pal Wade, its best to do Valentines the right way than the wrong way. Are you with me? Word! Here are my tips! Follow them, and learn from the Pool! Want to impress a woman, try wearing something flashy. Girls are like deer, and dwarves they like shiny things! Also put your name on it so that everyone knows who you are because girls love celebrities! 2) Listen - Or at least pretend to. Girls say lots of stuff some of it is even useful, but even when it is really boring ....pretend to listen! Most of the time they won't know the difference! 4) Give her Gifts but nothing that Explodes! Try to find that perfect something your lady will love. Be careful giving grenades without pins, actually be careful giving any explosive devices.......unless she is an alien invader or an angry demon then go for it! Pick the right girl and you will have an Amazing night, choose wrong and you will end up with a hammer to your face. Hopefully, the hammer is not Mjorner! Guys don't always think deep, about those internal qualities, that make someone beautiful when choosing. Thats too bad. Be yourself, Believe in yourself, you are good enough, and you are special (Just not as special as me). Put effort into something and you might be surprised what can happen.! Follow this advice and you will be rolling like Deadpool in no time....Swag!